Attention all Hospitality and Business students and graduates! If you haven’t read about web marketing before, you might want to reconsider; the industry is booming! With the on-going switch from traditional to digital media platforms in the past few years, this comes as no surprise. However, the web marketing industry is facing an issue: the lack of qualified job candidates. Group interviews can be quite popular in some fields where employers have little time to interview a large pool of candidates or where the job entails working with other people. Employers choose group interviews to save time as well as put candidates to a little test where they can evaluate team performance. Marketing jobs in BC and Vancouver are expanding quickly and offer long-term, secure, and strong income earning opportunities for employment. When analyzing this industry, it becomes evident that marketing jobs in BC are either staying a constant in BC’s economy or becoming a larger part of the working landscape across the province, mainly focused in the lower mainland. Starting in 2010, the following 10 years were judged as an exciting growth period for professionals interested in marketing careers throughout BC. This expectation has carried through to 2012 and it looks as though it is accurate. New companies are popping up throughout Vancouver, the lower mainland, and BC, most offering marketing related job opportunities – making entry-level positions available across many industries. Marketing careers have generally had a strong starting salary range. It is no different moving forward to 2020 where the entry-level salary range is expected to hold steady at $15 – $20 per hour. After 2 – 5 years of experience, the high end can vault to $25 per hour and up. Managerial or executive level positions in Marketing can see professionals earning upwards of $60,000 – $70,000 per year after 5 – 7 plus years of experience and training. Contract jobs in marketing are also prominent throughout the sector, which allows graduates from business and marketing diploma programs to supplement their full time income with additional contract employment outside their standard work week. A diploma or degree in Marketing, Communications, Public Relations or a similar discipline is expected when seeking a marketing job in BC or Vancouver (or anywhere for that matter). Certification in this industry can take anywhere from 1 – 4 years depending on the institution and certification pursued. A diploma in Marketing can lead to the wages discussed in the section above. Marketing professionals are generally expected to demonstrate a wide variety of skills throughout their careers. A depth of analytical, project management, consumer behavior, researching, and organizational skills are strong starting points. Measuring the performance and ROI of marketing campaigns and initiatives is a critical and core focus. 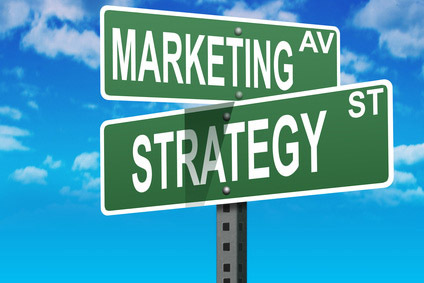 Marketing diploma programs are focused towards preparing graduates for entry into the workforce immediately and train students on foundational marketing techniques and best practices. With companies focusing heavily on their online marketing presence, a strong understanding of online marketing standards, best practices, and marketing tools is now considered a primary requirement for most, if not all jobs in Marketing. Marketing jobs in BC and Vancouver are expanding quickly and offer long term, secure, and strong income earning opportunities for employment. When analyzing this industry, it becomes evident that marketing jobs in BC are either staying a constant in BC’s economy or becoming a larger part of the working landscape across the province, mainly focused in the lower mainland. Starting in 2010, the following 10 years were judged as an exciting growth period for professionals interested in marketing careers throughout BC. This expectation has carried through to 2012 and it looks as though it is accurate. New companies are popping up throughout Vancouver, the lower mainland, and BC, most offering marketing related job opportunities – making entry level positions available across many industries. Marketing careers have generally had a strong starting salary range. It is no different moving forward to 2020 where the entry level salary range is expected to hold steady at $15 – $20 per hour. After 2 – 5 years of experience, the high end can vault to $25 per hour and up. Managerial or executive level positions in Marketing can see professionals earning upwards of $60,000 – $70,000 per year after 5 – 7 plus years of experience and training. Contract jobs in marketing are also prominent throughout the sector, which allows graduates from business and marketing diploma programs to supplement their full time income with additional contract employment outside their standard work week. ting can lead to the wages discussed in the section above.